Author, M.J. Rose explains the concept for Watchlist. Back in 2004 when she joined the International Thriller Writers, she wanted to bring notice to thriller writes. Though how do you do so in a new and exciting way? She can up with the idea of releasing a book one chapter at a time on audio. The most important step of all is how will authors respond to this idea and how do you get them to buy in? 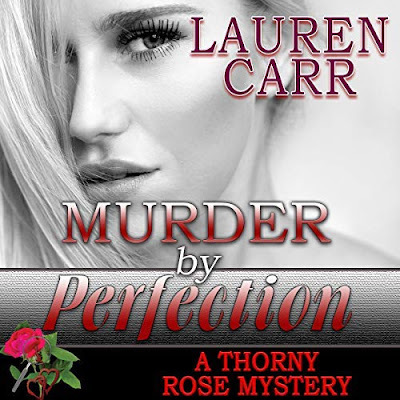 Well as Ms. Rose describes, it is very easy… you just pick up the phone and call the authors. So many authors said yes that Ms. Rose herself lost a spot in this book. Mr. Deavers was the brain child behind the plot and main character. The rest was up to the other authors to write how this story should play out. Watchlist is composed of two stories…The Chopin Manuscript and the sequel, The Cooper Bracelet. 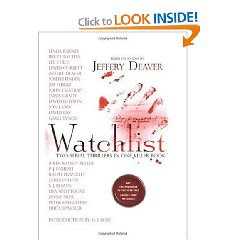 Calling all thriller/suspense/mystery fans…If you have not heard of or checked out Watchlist then you should. Ever since I first saw this book in hardback, I have wanted to read this book. I can tell you that this book was pretty much right up there with my expectations of it. It had the suspense, a good plot, and some of the best authors to help the story along as well as the characters. wow, creepy cover! I love a good thriller!